getBMWparts.com | NEW Genuine BMW Motorsport & M Fan iPhone 6 Cases!! NEW!! 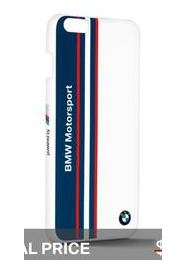 Genuine BMW Motorsport & M Fan iPhone 6 Cases!! Wrap your iPhone 6 in style with these exciting new BMW Motorsport hard cases. *Not for iPhone 6+. Shop BMW M Lifestyle HERE! Last edited by Jason@Tischer; 03-07-2018 at 04:37 PM.